Tech Precision is 100% Australian owned with over 25 years’ experience in national IT service and support. We cater for organisations wishing to minimise support hassles while maximising their return on investment from previous and future IT spend. As an established market leader in IT services, we set the standard for prompt, reliable, cost effective servicing, maintenance and support.Due to our large and diverse range of clients we see and understand there are a number of ways to tackle IT related issues. Each business is unique so we use our experience and wide knowledge base to match the most suitable solution making sure our clients gain the best possible outcome with results focused on realising value for money. The benefit of using Tech Precision lies in the fact that we allow your company to focus on what it does best, and leave the IT worries to us – operating under a true business partnership.We take the time to listen and understand your needs so we are able to deliver our services on time and on budget every time. “Tech Precision have taken the time to listen and understand our needs which means the changes they have made in the system are really benefiting our staff and the way they operate. With our partners we’re disrupting the Backup, Disaster Recovery and Business Continuity space. Customising your service needs ensures you minimise your expenditure while maximising the performance of your IT equipment.Tech Precision understands that making it easy to do business with us is important. 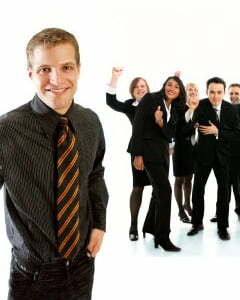 That’s why we assign you an Account Manager to provide all your non-technical support needs and act as your main point of contact for any queries you may have.Your Account Manager will also work with you to better understand your business requirements and goals – this allows Tech Precision to provide better service to you. It also means you’re not paying for cover you don’t need. At Tech Precision we pride ourselves on our ability to adapt to the varying needs of our clients. We support your IT, technology warranties and industry specific systems as part of our continuing commitment to provide you with a superior alternative to OEM support. Every business has its own specific needs and unique requirements. Tech Precision is able to develop industry specific solutions to support your technology equipment – allowing you to get on with your core business. 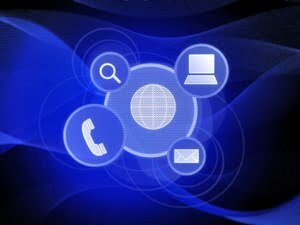 Contact Tech Precision now to discuss your IT service needs. Tech Precision’s head office is located in Melbourne and also houses our National Customer Service Centre. All your enquiries are handled live, by our friendly and experienced operators, right here in Australia.We never send your call off-shore.Service calls are logged into our centralised call management system and are electronically sent to an assigned field service technician. 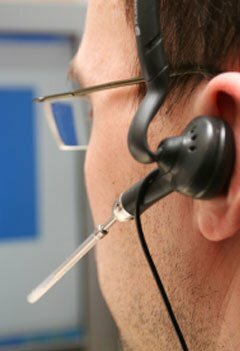 Our call management system includes a service reporting system that can be tailored to suit your reporting requirements. Your Account Manager will be there from the very start of our relationship to ensure you fully utilise the benefits of choosing Tech Precision. Tech Precision recognises that your time is important – so every minute that your IT equipment is not functioning is not only a loss to your business, it’s also incredibly frustrating for your clients and your team members.We understand that you want to know what’s happening with your request and most importantly, when it’s happening.That’s why Tech Precision has implemented Real-Time Job Tracking. As an Australian leader of a full range of IT service and maintenance solutions, Tech Precision is focused on the Information Technology sector and has an outstanding reputation for providing solutions and services to a wide range of Australian and New Zealand companies. Tech Precision has a well-established client base, from SMEs right through to some of Australia’s largest companies. By choosing Tech Precision as your IT service provider, you’ll be amongst good company, including 3M Australia, IBM, John Deere, Ikea, Corporate Express, GE Capital Finance and Phillip Morris to name a few. Tech Precision has invested heavily to enhance the skills and resources in key areas of our business and to develop and maintain committed relationships with many of the key technology vendors. This ensures our resources are in line with an ever-changing IT market – and you get the benefits of up-to-date technology and peace of mind, we’ll help you relax. Tech Precision has operated as an IT support, service and maintenance business in Australia for over 25 years. Starting in Melbourne as a terminal repairer, Tech Precision’s commitment to prompt, ‘stress-free’ service resulted in the company’s steady rise to become an independent national service alternative to DEC (Compaq) for maintenance of PDP, VAX and Alpha mini-computer hardware. Tech Precision’s success in this core business over the following two decades saw the company encompass many other leading mini-computer and peripheral hardware brands to include Prime, Concurrent, Data General and Wang hardware platforms. With Tech Precision clearly established as a market leader in this niche IT field, the company was sufficiently qualified to extend its capabilities to incorporate the support and maintenance of the booming PC and LAN sectors. Integrating this innovative equipment into its existing customer base’s IT mix, Tech Precision proactively perceived the changes in the global IT market long before many of today’s service providers existed. These days, Tech Precision is a service provider for virtually all LAN and WAN equipment in business environments. This dynamic experience, combined with Tech Precision’s commitment to friendly, professional and timely service, ensures that clients can rely on Tech Precision to consistently deliver results. Tech Precision assists companies across Australia and New Zealand achieve maximum return on investment on their IT equipment by providing complete support solutions. Through friendly, professional and timely assistance within set ‘service cover’ parameters, Tech Precision minimises the stress of handling IT equipment. Tech Precision’s dynamic experience in the industry, combined with its commitment to friendly, professional and timely service, ensures that clients can rely on Tech Precision to consistently deliver results.